A team of researchers from the The Methodist Hospital Research Institute and two other centres announced today the discovery of a new method for the production of induced pluripotent stem cells. According to the researchers, the technique's efficiency (throughput) is 10 to 30 times larger compared to the currently available ones. 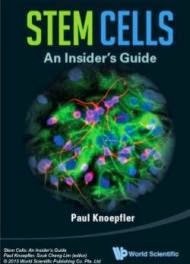 As we explain in our iPSCs page, iPSCs have many uses, for example in the development of disease models from a patient's owns cells. iPSCs are created from somatic cells (e.g. neurons) that are reprogrammed into a stem cell like nature via a process called transfection. Although these stem cells have been studied for more than 5 years, not much improvement has been reported in the reprogramming process. Currently, only 0.1 to 1% of the transfected cells transform into iPSCs. The researchers found out, for the first time, that a protein encoded by the gene Jmjd3 acts as a "roadblock" in the reprogramming process. Jmjd3 has an important role in many biological processes such as in the maturation of nerve cells and immune cell differentiation. The study, carried out in young mouse fibroblasts , reveals that Jmjd3 inhibits the reprogramming process and its removal greatly enhances the efficiency of the reprogramming throughput. "Knocking down Jmjd3 is like hitting two birds with one stone"
The scientists believe that Jmjd3 may just be one of the many roadblocks involved in the reprogramming process, meaning that this might be just the first step towards increasing the efficiency of iPSCs production. The team was also manned by scientists from the National Cancer Institute and the Cancer Prevention Research Institute of Texas.